Count Basie Orchestra Event home HamiltonThe PromNetworkTo Kill a MockingbirdKiss Me KateHadestownOklahoma! One of the most prominent jazz performing groups of the swing era, the Orchestra continues to wow audiences today. 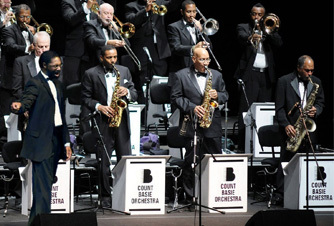 Why See Count Basie Orchestra? 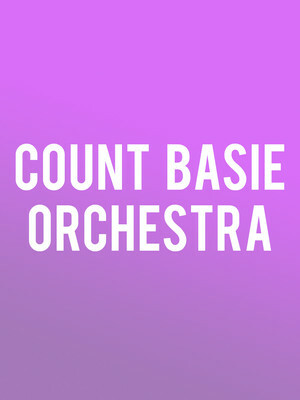 The Count Basie Orchestra is a 16 to 18 piece big band, one of the most prominent jazz performing groups of the swing era, founded by Count Basie. The band survived the late '40s decline in big band popularity and went on to produce notable collaborations with singers such as Frank Sinatra and Ella Fitzgerald in the '50s and '60s. 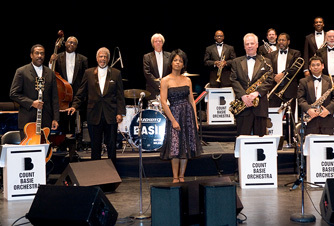 The group continues to perform and record even after Basie's death in 1984. After Basie's death in 1984, the band has continued to play under the direction of some of the players he had hired, including Eric Dixon, Thad Jones, Frank Foster, Grover Mitchell, Bill Hughes, and now drummer and arranger Dennis Mackrel. It continues to release new recordings, for example Basie is Back from 2006 which features new recordings of classic tunes from the Basie Orchestra's back catalogue, including April in Paris and even the band's early hit One O'clock Jump. 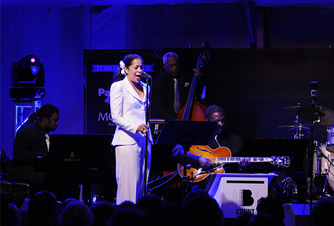 The group also continues to produce notable collaborations, such as with singer Ray Charles in Ray Sings, Basie Swings of 2006, and with arranger Allyn Ferguson on the 1999 album Swing Shift. Sound good to you? Share this page on social media and let your friends know about Count Basie Orchestra at Prudential Hall. Please note: The term Prudential Hall and/or Count Basie Orchestra as well as all associated graphics, logos, and/or other trademarks, tradenames or copyrights are the property of the Prudential Hall and/or Count Basie Orchestra and are used herein for factual descriptive purposes only. We are in no way associated with or authorized by the Prudential Hall and/or Count Basie Orchestra and neither that entity nor any of its affiliates have licensed or endorsed us to sell tickets, goods and or services in conjunction with their events.